Learn more about us and our mission as Christ's followers. Praise the Lord with us on Sunday mornings, evenings and Wednesday evenings during our services. See what we're up to by browsing through our calendar of events! 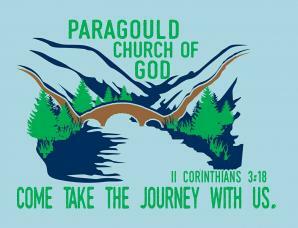 When you join us at Paragould Church of God in Paragould, AR, you will be welcomed into a loving church family. We know that we are not perfect, but with the help of the Holy Spirit, we are striving to be more like Jesus every day. We are dedicated to reaching out to the hurting in our community and our world, to help them find hope, help, and healing through Jesus Christ. Paragould Church of God is a place where everyone in your family—from the youngest to the oldest—can grow spiritually. If you don't have a home church in Northeast Arkansas or Southeast Missouri, we invite you to join us on Sundays and Wednesdays for a variety of services. Come Take the Journey with Us at Paragould Church of God! Visit Paragould Church of God Today!